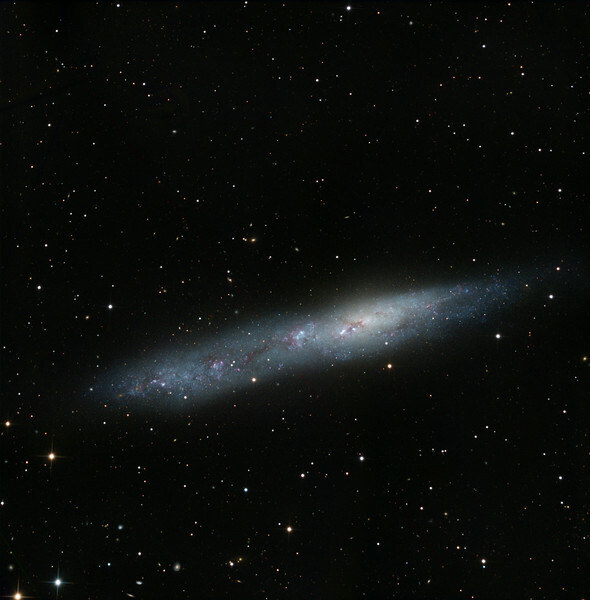 NGC 55, a large, bright, magellanic-style heavily distorted galaxy. Intensely blue due to massive tidal triggering of star formation, excepting for a warm halo right of centre, presumably representing the old nucleus. L: 10x1hr. RGB: 5h30m total. There are over 100 small, distant, galaxies in the image. Width 35'arc, North up.